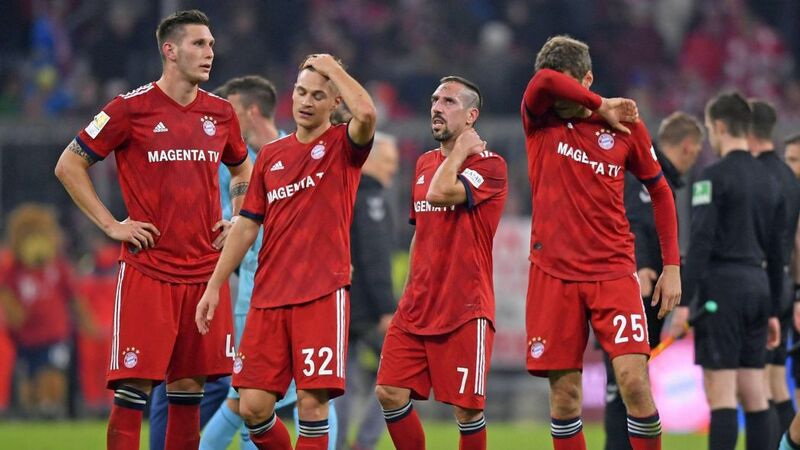 Bayern Munich’s hopes of retaining the Bundesliga title suffered a setback on Saturday as they were held to a 1-1 draw away to Freiburg. The Bavarians were on a six game winning run prior to the game but conceded as early as the 3rd minute thanks to a Lucas Holer strike. However, they were soon level on 22 minutes when top scorer Robert Lewandowski tapped in his 19th goal of the campaign. From there until the end, it was all Bayern as they tried to score a second but were consistently denied by Freiburg who got their second point in as many games following a 1-1 draw at Monchengladbach prior to the international break. The draw sees Bayern drop into second on the log with 61 points, two behind leaders Borussia Dortmund. For Dortmund, they took full advantage of Bayern’s slip as they defeated Wolfsburg 2-0 on the same day. However, it was not an easy ride for Lucian Favre’s side, requiring two late goals from Paco Alcacer to win the game. First, the Spaniard struck in the last minute of normal time before sealing the victory in the last minute of the four that were added on. Dortmund have now gathered 63 points from 27 games this season. In the battle for the two other remaining Champions League spots, third placed RB Leipzig and Frankfurt who occupy 4th, both won their respective weekend fixtures. Leipzig demolished Hertha Berlin 5-0 at the Red Bull Arena on Saturday with Yussuf Poulsen scoring a hat trick while Frankfurt were 3-0 winners at home to Stuttgart, the following day. Monchengladbach who are currently 5th, continued their slump in form, losing 3-1 away to Fortuna Dusseldorf. The loss is Gladbach’s third in five games and it leaves them two points behind Frankfurt in the race for top four. Elsewhere, Bremen, Hoffenheim, Schalke and Nuremberg were also victorious over the weekend. Bremen were 3-1 winners over Mainz, Hoffenheim took care of Bayer Leverkusen 4-1, Schalke defeated Hannover 1-0 and Nuremberg were 3-0 victors at home to Augsburg. In Spain, Barcelona continued their march towards an 8th La Liga title in 10 years as the beat city-rivals Espanyol 2-0 at the Camp Nou. Captain and star-player Lionel Messi was at the goals again, scoring a second half brace to seal the deal for the Catalans. 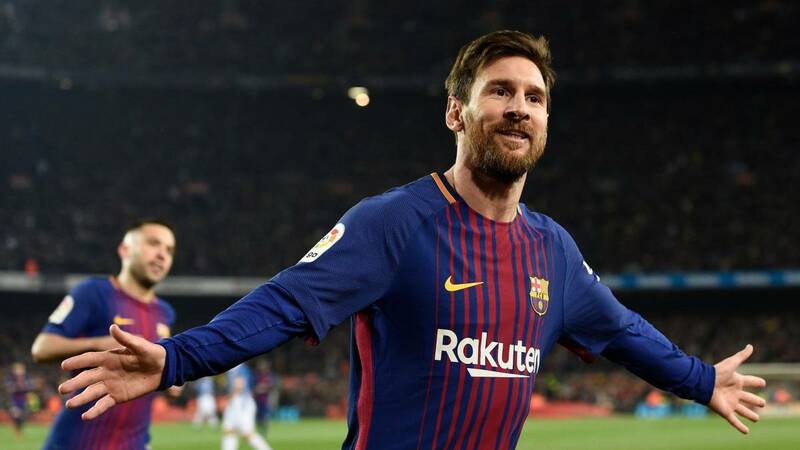 The goals were Messi’s 30th and 31st in the League this season and they help Barca maintain their 10 point lead at the top of the standings, with 69 points from 29 games. For second placed Atletico Madrid, they made light weight of a potential Banana-Skin, dispatching Deportivo Alaves 4-0 at the Estadio de Mendizorroza. Saul Niguez, Diego Costa, Alvaro Morata and Thomas Party scored the goals for Diego Simone’s side who remain second with 59 points from 29 games. In Madrid, Real required a Karim Benzema 89th minute goal to defeat Huesca 3-2 at the Santiago Bernabeu. Huesca took a shock lead inside three minutes through Juan Hernandez but Real responded swiftly, scoring through Isco (22′) and Dani Ceballos (62′), to turn the game on its head. However, Huesca could not go down easily, equalizing with 16 minutes to time through Xabier Etxeita. Benzema the struck with a minute to play, sealing three more points for Real Madrid who have now won both of their games since the return of Zinedin Zidane as coach. The three points earned mean that Real (3rd) remain only two points behind second placed Atletico with 9 games to play in the season. The battle for the remaining Champions League spot, took an interesting turn, with only Valencia (6th) winning amongst the other four contenders. Valencia defeated Sevilla (7th) 1-0 away from home thanks to a 45th minute Dani Parejo penalty while Getafe (4th) and Alaves (5th) lost their respective games. Getafe were brought down to earth by Leganes who defeated them 2-0 on Saturday afternoon. Elsewhere in La Liga, only Athletic Bilbao and Celta Vigo registered victories on the Weekend. Bilbao came from a goal down to defeat Girona 2-1 away from home on Friday while Celta came from 2-0 down to beat Villarreal 3-2 with Iago Aspas scoring the winning goal from the spot, four minutes from time. In Italy, Juventus maintained their 15 point lead at the top of the Serie A, thanks to a nervy 1-0 win at home to Empoli on Saturday. Still without the injured Cristiano Ronaldo, it was once again teenager Moise Kane who came up with the goods, scoring the winning goal 18 minutes from time. This was the 19 year old’s third goal in his last three Serie A games. Victory sees Juventus move onto 78 points with only 9 games to play this campaign. For second placed Napoli, they were 4-1 winners away to AS Roma on Sunday. Arkadiusz Milik put the visitors 1-0 up inside two minutes but his goal was cancelled out by Diego Perotti’s penalty at the stroke of halftime. Napoli came back from the recess in devastating fashion, scoring three more goals, one each by Dries Mertens, Simone Vardi and Amin Younes to take all three points which see them (63) remain 15 behind leaders Juventus. In the battle for Champions League football, both Inter Milan (3rd) and AC Milan (4th) lost their respective fixtures 1-0 this past weekend. AC were defeated by Sampdoria on Saturday while Inter lost to Lazio at the Guiseppe Meazza the following day. The win against Inter sees L azio close in on both the Milan sides as Simone Inziagi’s side are now only three points behind AC and five adrift of Inter. Elsewhere in the Serie A, Cagliari, SPAL, Atalanta, Udinese and Bologna were also victorious on the weekend, Cagliari beat Chievo 3-0, SPAL defeated Frosinone 1-0, Atalanta were 3-1 winners away to Parma, Udinese were 2-0 victors at home to Genoa while Bologna dispatched Sassuolo 2-1. 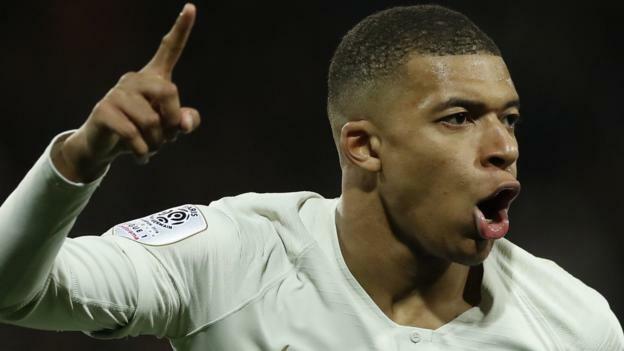 In the French Ligue One, Kylian Mbappe scored the only goal of the game as PSG scrapped to a 1-0 win away to Toulouse on Sunday. Mbappe who has now scored 27 goals this season, scored 16 minutes from time in a game that saw PSG struggle to create chances as they missed a host of players due to injuries. The three points see PSG maintain their 20 point caution at the top of Ligue One, having accumulated 80 (points) so far this campaign. For second placed Lille, they came from two goals down to defeat Nantes 3-2 on the same day. Goals from Rafeal Leao, Jonathan Bamba and Nicholas Pepe did the damage for Lille on a day that they fall behind early in the second half thanks to strikes from Valentin Eysseric and Kalifa Coulibaly. Lille now move onto 60 points from 30 games with only 8 to play in the season. In the struggle for the last available Champions League spot, Lyon took a huge step in making it their own, defeating Rennes 1-0 away from home with Martin Terrier scoring the only goal of the game with 6 minutes to play. For Marseille, their Champions League hopes suffered a huge blow as they drew 2-2 at home to Angers. Mario Balloteli scored both of Marseille’s goal on the day to give them a 2-0 lead at halftime but Angers responded with two of their own in the second half, one that also had Bruno Sarr sent off for the home side. The draw leaves Marseille 4th on the log, 8 points behind third placed Lyon with with 8 games to play. Elsewhere, Monaco were shocked 1-0 at home to Caen while Nice defeated Dijon by the same score line.